As an entrepreneur, you will surely have a good understanding of bad and good debt. Good debt is one that is available in the likes of lines of credit, mortgage or loans which one can utilize for the benefit of the company. It is a productive debt. On the other hand, bad debt is something which you cannot leverage while expanding your business. It is a reductive debt. It is money which will not have any productive use. It is typically used for purchasing goods that are not within your means and will not produce any good outcome. Why Entrepreneurs Become a Victim of Bad Debt? Below are the top 3 reasons why entrepreneurs become a victim of bad debt, and this may also include an entrepreneur who is a millionaire. There cannot be anything more exhilarating than the cash keeping on rolling. Often business owners take for granted the dramatic ups as well as falls and avoid foreseeing the period where the cash flow is terrible. Usually, credit cards are used to smooth this out and create an economic balance in one's personal life. People also presume they can easily clear off the credit card bill the following month. Mostly, however, the failure to do so results at the beginning of a crisis. An entrepreneur often begins to live life on the income coming from their business even before it is capable of sustaining it. As a result, they leave their job and leave no stone unturned in building the store without realizing the fact that they are not ready to pay the monthly income they require to live on. The business will need time and reinvestment for it to mature and develop and for creating consistent cash flow; it will require time and reserves. It is useful in maintaining a second job and another income especially in the family relationships for providing some breathing room to the business. Even before one realizes it, their business will be capable of cutting them the monthly check that they require to live on. Learn more at Nationaldebtrelief.com. Often an entrepreneur may use a productive or good debt thereby believing that they are cautious and wise. In reality, however, they are overextended. Generally, it goes this way; an entrepreneur enjoys excellent earnings for some years and decides in increasing and expanding debt for growing quickly and change their way of living based on the new income level. Then follows the economic downturn, an amend in the industry or loss of some big customers. Following a significant drop in profit, on the financial aspect things turn rough, the situation goes out of control leaving the entrepreneur at risk to lose his company. It is critical to one's long-term success in expunging every bad or reductive debt out of their life right away. To implement a debt snowball is essential. Entrepreneurs often hear about such form of spreadsheet approach or analysis which can help fast-track them to come out of the debt quickly than actually, they have imagined. The debt snowball procedure is simple- make a plan that is simple, stick to it and enjoy the success. · First and foremost, the entrepreneur should determine the amount of their monthly income that they can commit consistently to eliminate the bad/reductive debt. Investing a reasonable amount is vital. The total amount that they will commit to reducing the debt must not stretch them. · Secondly, the entrepreneur should compile a list of their bad debts. This will help them to start paying off the biggest debt and ending with a minimal amount. · Last and finally, it is time to implement the plan. The entrepreneur should take the sum committed to their debt plan every month as well as add that additional money for paying the smallest debt amounts. This way they should continue in making the minimum needed payment for all the remaining payments. Soon their smallest debt will be repaid fully. The snowball now will go up in size because the entire amount that the entrepreneur was sent to clear the small debt amounts now will be applied to the bigger debts together with its usual regularly needed payment. The entrepreneur continues clearing such increased payments until he or she eliminates all the debt. This process should be repeated time and again until all the debts are cleared off. Of course, the best means of getting out from bad debt will be to keep away from it altogether. Should an entrepreneur desire to keep debt at bay then planning is a necessity. Take a look at the different core business practices which will work wonders in helping an entrepreneur despite being a millionaire to keep away from debt as they grow and expand. · Minimize expenses constantly. There is no harm in being frugal. · An entrepreneur should hire employees when he can afford and expand the business, not in advance but only when the sales come to the floor. · Keep away from wasteful spending and instead focus on the opportunity expenditure while taking financial decisions. · An entrepreneur should not overextend himself with productive debt. He should be cautious and focus on increasing his business benefits to the fullest. · Most importantly the entrepreneur should have enough cash reserves for handling potential downturns and emergencies in their business. 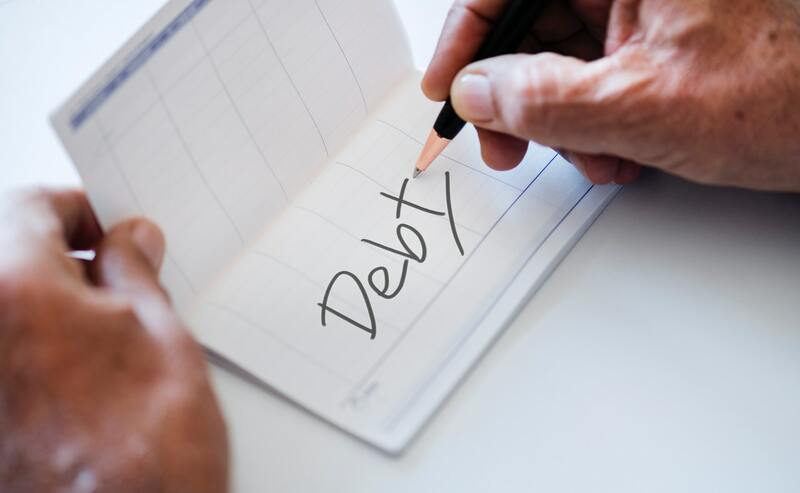 The moment an entrepreneur finds himself in a circumstance where his debt is going against him and not working out, then they should make the best attempts in paying off the debt at the earliest. Staying away from bad debt need not be reactionary but must be included in an entrepreneur's operating plan. Debt is terrible yet at the same time liabilities are required for building wealth. There will be no need in clearing off the mortgage right away provided there is better utilization of the money elsewhere.